If you've got your weekday schedule worked out like an oiled machine, you might be extremely efficient. You might also be incredibly bored. Here are a few ways to spice up your weeknights without derailing your entire schedule. Stale weeknight routines need freshening, and fresh flowers are an easy way to bring a little life to your table. You don't have to fuss with a complex arrangement; sometimes just a single stem in a vase is just right. 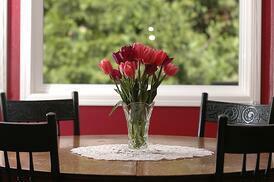 Consider a bouquet as a centerpiece at the dinner table, or enjoy romantic roses by the bedside. You don't have to find a bar or restaurant to enjoy happy hour. Instead, mix up your favorite drink or pick up a 6-pack of your best brew. Then, make up a tray with a few crackers, cheese, or other small bites. Relax in a quiet corner of your living room, or invite a friend over to enjoy the fresh air outside on your patio. The key is to keep it simple and low-key so it's relaxing. We all know pre-planned meals and menus make weeknights easier, but do they make them more fun? Choose a night to mix up the menu and do something different for dinner. Maybe it's time to fire up the grill for burgers or pack a picnic for an outdoor treat. If fussing with your meal plan is too stressful, then add a bit of interest to the meal with candles and music. Or, get the kids involved and have them create place cards, centerpieces, or other decorations to make this meal feel special. What's so spicy about movie night when you veg out in front of the TV every night, you ask? When you take the time to choose a movie and build a night around spending time with a friend or your family, you can turn this into quality time. 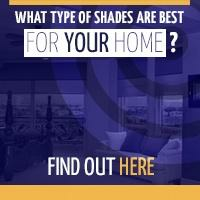 Pop some popcorn, grab some drinks, and close the shades to create the right ambiance. Then, do the one thing you can't do at the theater: get in your PJs and snuggle up in your favorite blanket. 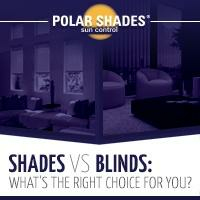 From cozy date nights to bright get-togethers, Polar Shades has window coverings that will get the mood just right. 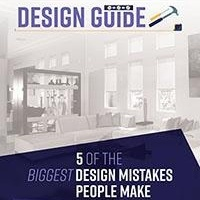 From light-blocking shades with remote-controlled simplicity to ZipRite shades that create comfortable outdoor spaces, we'll help you make every night special. 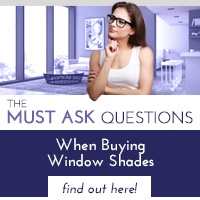 To learn more about window shades from Polar shades or to schedule your free in-home consultation, call 702-260-6110 today!